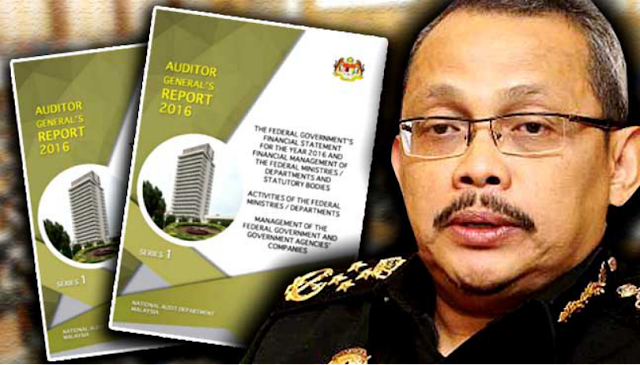 BUKIT LANJAN: It’s about time MACC takes the A-G’s annual reports seriously! The Malaysian Anti-Corruption Commission (MACC)’s plan to set up a task force to look into the findings of the 2016 Auditor-General (A-G)’s Report is a step in the right direction in the war against graft. The reports, tabled annually in Parliament, have been looked at by Malaysians as nothing more than documents meant to gather dust in the closet for lack of action against the culprits. “Well, it is about time the MACC treats the A-G’s findings seriously and act swiftly and accordingly. Better late than never for the MACC to start probes,” Gerakan Deputy Speaker Syed Abdul Razak Alsagoff said. He said not only MACC should probe the findings in the A-G’s reports, the police should also do the same. “And why aren’t police reports being lodged by government departments that had been cheated? Why aren’t financial discrepancies been looked into seriously?” he asked. For example, the A-G’s 2016 report found that the Sarawak Housing Development Corporation (Perbadanan) paid out RM2.88 million to two contractors for the repainting of 12 public housing units, even though they did not carry out the work. “Isn’t this a clear cut case of cheating? Who and why is the corporation protecting the cheats?” he asked. Another case unearthed by the A-G’s report involved the the Melaka State Development Corporation (PKNM) which decided to buy back a hotel it had sold 13 years earlier, leading to losses amounting to RM4.57 million. Syed Razak, who is Gerakan’s nominee to contest N.37 Bukit Lanajan in the coming 14th General Election (GE14), said the MACC’s image as an anti-graft fighter had taken severe beatings since its establishment on Jan 1, 2009. “Malaysians’ poor perception of the MACC as an anti-graft fighter stems from its perceived lack of transparency and independence in handling corruption cases. “No matter how small or large the amount of corruption, the MACC must be seen to act without fear or favour. This is the public perception that is lacking in MACC,” he added. public confidence in the MACC as an anti-graft fighter and boost its integrity”. MACC chief Dzulkifli Ahmad says he has discovered some issues with the audit report and will call for further investigation into the findings. KUALA LUMPUR: The Malaysian Anti-Corruption Commission (MACC) will be setting up a task force to look into the findings of the 2016 Auditor-General’s Report, which was presented to the Dewan Rakyat yesterday. MACC chief commissioner Dzulkifli Ahmad said he had discovered issues with the report after reading it, and that the findings needed to be scrutinised by the anti-graft agency so that appropriate action could be taken. “We have discovered some issues with the report. We will release a press statement on the specific issues. “We will also be forming a task force to take action if necessary,” he told reporters during a press conference here today. Dzulkifli said the task force would investigate if there was any corruption involved in the issues highlighted in the audit report on the federal and state governments as well as government-linked agencies last year. Among the issues in this latest report, two items reported earlier today involved discrepancies in procedures and payments concerning a corporate entity under the Sarawak state housing ministry and the purchase of a hotel by a Melaka state agency. In the first instance, the A-G found that the Sarawak Housing Development Corporation (Perbadanan) had paid RM2.88 million to two contractors for the repainting of 12 public housing units, even though they had not carried out the work. The A-G added that Perbadanan had not abided by provisions of the Financial Procedure Act and other procurement rules for an upgrading project in Sibu with payments made in advance without the necessary authorisation. The other item showed how the Melaka State Development Corporation’s (PKNM) decision to buy back a hotel it had sold 13 years earlier led to losses amounting to RM4.57 million. According to the report, PKNM was forced to buy back MITC Hotel in Ayer Keroh after the company to which it had sold it to failed to make the payments due to the state government and continued to accumulate debts over the next 11 years. The purchase of the hotel was then done through a RM25.70 million bank loan to finance the purchase (RM17 million), refurbishment (RM7.56 million) and GST (RM1.14 million). “The total repayment of the loan is RM50.70 million, including RM25 million in interest,” the audit report said. It is not confirmed however if these are among the issues which the MACC task force will be looking into. Auditor-General also highlights issues with construction of Riverside Majestic Hotel in Kuching, which is yet to be completed despite extensions totalling 758 days. 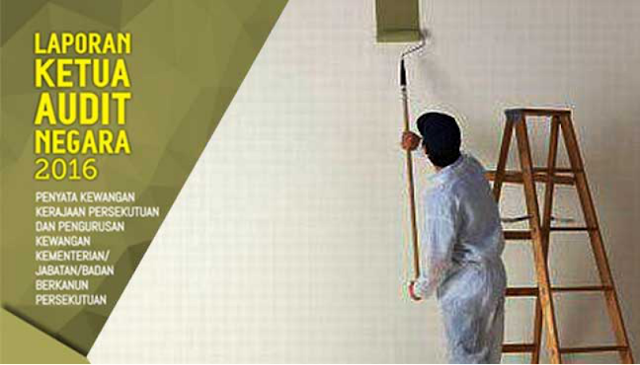 PETALING JAYA: The Sarawak Housing Development Corporation (Perbadanan) paid out RM2.88 million to two contractors for the repainting of 12 public housing units, even though they didn’t carry out the work, according to the 2016 Auditor-General’s Report. In an audit carried out between March and May last year, the A-G found that some procurements made by Perbadanan, a corporate entity under the Sarawak state housing ministry, did not abide by provisions of the Financial Procedure Act and other procurement rules. Aside from the RM2.88 million payments for the repainting, the audit also found that the payment for Package 1 and Package 2 of the Jalan Utama upgrading project in Sibu were made in advance without the necessary authorisation. The advance payment of RM16.08 million resulted in the Sarawak government being hit with RM1.77 million in interest as a result of late payments to Perbadanan’s partner HDCam Sdn Bhd, which funded the works first. The audit also found that payments amounting to RM33.40 million were made to suppliers without being verified by the officer who had the authority to do so, while six payment vouchers amounting to RM20.77 million were also not supported by Payment Certificates. The audit also highlighted issues with the construction of the Riverside Majestic Hotel in Kuching, Sarawak. The hotel belongs to Sejadu Sdn Bhd, a subsidiary of Perbadanan Pembangunan Ekonomi Sarawak (PPES), which received an offer from the Sarawak government to develop the vacant land where the hotel is to be situated. The original value of the 24-month project was RM59.89 million, and construction was to commence on June 24, 2012. But the audit carried out between November and December 2016, found issues with the management of the project, namely the failure to complete the project despite seven extensions amounting to 758 days. The project’s cost had also increased by some RM8.07 million, representing a 13.5% increase from the original costs. It noted that Liquidated and Ascertained Damages (LAD) charges weren’t imposed for work which was delayed by 148 days."